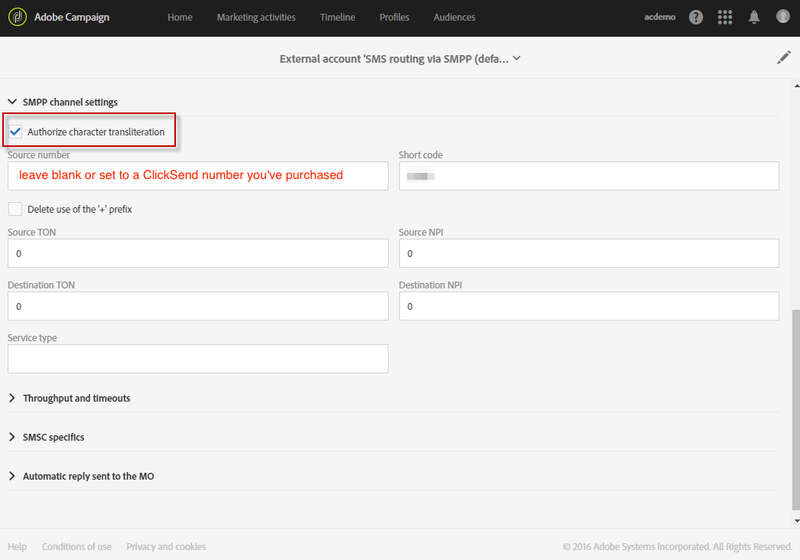 You can integrate ClickSend into Adobe Campaign to send SMS messages. 1. 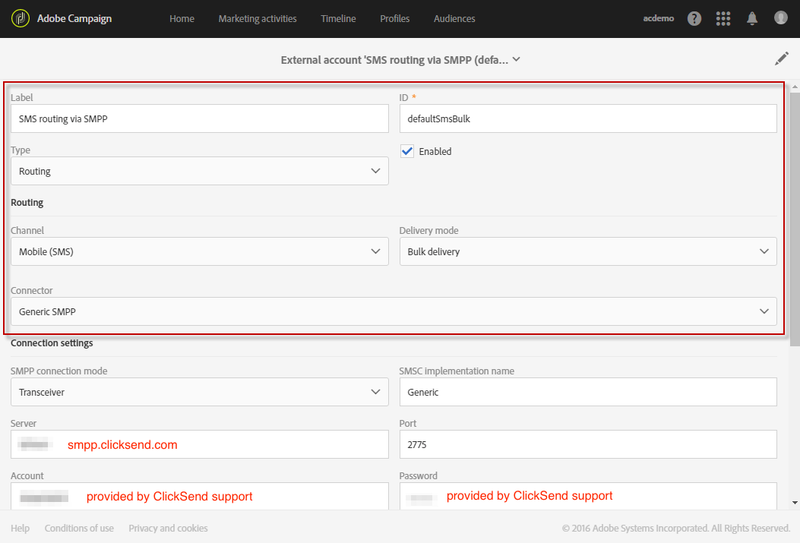 Contact our support staff and request for a SMPP user to be added to your account. Our online chat support can do this for you 24/7. They'll ask for you server's public IP address since we need to whitelist it (you can get this from your system administrator/IT team). This is the public IP of the server that hosts Adobe Campaign.